This lovely paring of Lemon and Lavender was created in a healthy pastry class I had the pleasure to teach at Natural Epicurean in Austin a few years ago. It was a hands on class, and I had very creative students who were risk takers and were ready to explore and give new projects a go. It is an adaptation from my orange cake and matcha cake also. When you find a recipe that really works you can do so much with it. I call them my master recipes. Lavender has so many healing properties: it is a natural way to reduce stress and anxiety, improves sleep,heals burns and cuts, improves eczema and acne, antioxidant, alleviates headaches, and most importantly: balances blood sugar. I have had many spiritual teachers along my path of healing and all have chosen “alternative” methods that have challenged the status quo: from my iridiologist, to my angel card guide, to my therapist who have told me many times in different ways: do something with food that heals. At that time it seemed so abstract but now connecting the dots back in my life timeline it has made sense and like a puzzle it has fit in beautifully, as it is when one finds their life purpose and body of work: it never seems like it is a linear path. Grease a pound cake/medium size pan with coconut spray. Preheat convection oven to 330 F, a regular oven to 340 F. You can use silicon cake loaf pan which make a beautiful soft crust or use individual flexipan or silicon pans also. Sift flours and baking powder and salt. In a kitchen aid mixer with a whisk, beat eggs, vanilla and sweetener, add lemon zest and lavender flowers beat until airy and lemon color. Add the water and oil and mix until combined. Add the sifted flour. Mix to combine. Pour batter into prepared pan. Bake until a toothpick comes out clean approx. 25-30 mins depending on your oven. Remove from oven, let cool on rack. Decorate with confectioner’s, fresh lavender flowers or fresh rosemary and candied oranges or crystallized lemons. Mix all ingredients in a small stainless steel casserole and cook over medium heat until thickened. Check sweetening and adjust to taste. You can also make Lemon Lavender cupcakes or cake! Another combination I love is lemon rosemary. To make this cake vegan also: use 3 energy egg replacer eggs: mix 4½ teaspoons of energy egg replacer with 6 tablespoons of warm water with a small whisk until foamy. Add this to the sweetener when you are mixing the cake in the Kitchen Aid mixer with a whisk. Hey Buddy!, I found this information for you: "LEMON LAVENDER SPELT CAKE". 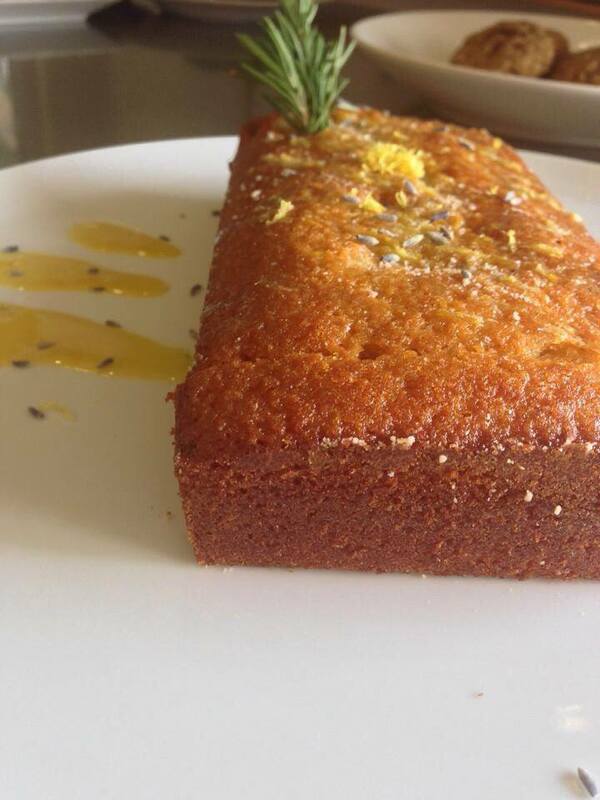 Here is the website link: https://www.vanessamusi.com/lemon-lavender-spelt-cake/. Thank you.